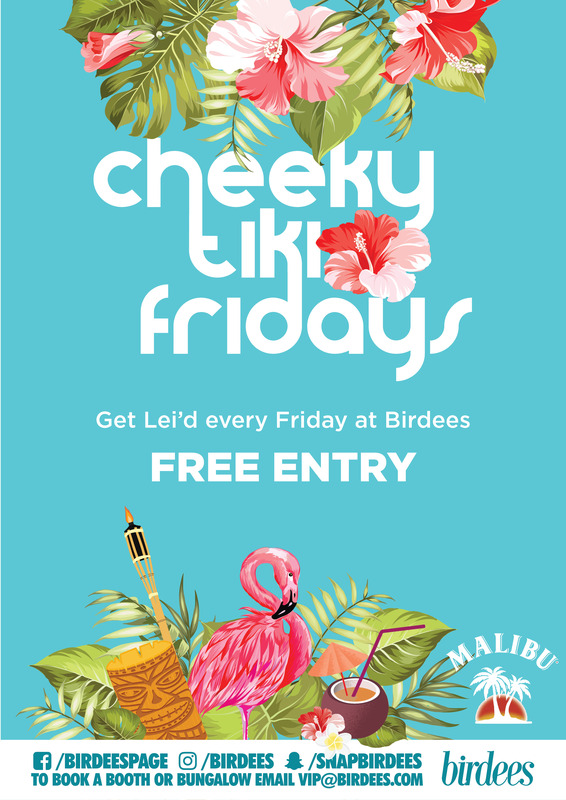 Friday’s at Birdees just got CHEEKY! Join us every Friday for Cheeky Tiki Fridays and indulge in a cocktail or two served in a coconut! Get tropical, get lei’d, every Friday at Birdees.